Skin RN Aesthetics offers laser skin resurfacing with FDA approved fractional CO2 lasers for smoothing fine lines and wrinkles, minimizing sun spots, Melasma, and acne scars, and improving the overall texture and look of your skin. There are two main kinds of skin resurfacing lasers on the market today. Fully ablative and fractional. 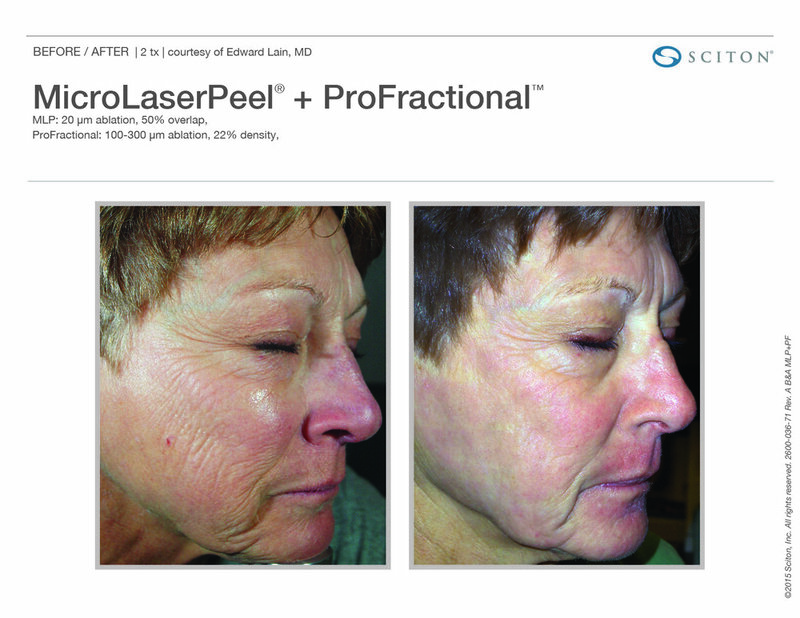 Fully ablative lasers, also called CO2 lasers, are used to completely “burn off” the top layer of your skin. While they can get good results, common side effects include excessive oozing, extreme pain, and several weeks of hiding away from the world while your skin starts to grow back. Fractional Skin Resurfacing is a newer technology that makes thousands of tiny perforations in the surface of your skin, extending down into the dermis to allow new skin to form in its place. Unlike a fully ablative laser, a fractional laser leaves the skin around the microscopic holes in tact, resulting in a safer procedure, shorter downtime, and less pain. At Skin RN, we utilize The SmartXide DOT (Dermal Optical Thermolysis). This laser was specifically designed to go one step further than traditional fractional lasers by not only resurfacing the skin, but also stimulating collagen to tighten the skin. That’s why it’s works so well at reducing or eliminating wrinkles, skin discoloration, sun spots, and acne scars. By simultaneously resurfacing and stimulating collagen growth, the skin’s appearance looks much younger with a single treatment. At Skin RN we require a patient consult and a two week prepping regimen prior to a Fractional CO2 laser treatment. At the time of your consultation, we will review the procedure and address any of your concerns. Most patients want to know "Does it hurt?" 90% of patients rate the pain as a 2 or 3 on a 10 point scale. The most common way patients described it is “like an intense sunburn.” We apply numbing cream before the procedure and use an icy blast of air to the treatment area during the procedure (it’s like a high powered, handheld air conditioner that attaches to the laser). Finally, after the treatment, we provide you with ice packs and an after-care kit with skin creams and moisturizers to speed up the healing process and make sure you get the best possible results. Here’s what one patient said immediately after the procedure. *Consult and 2 week prepping regimen required.